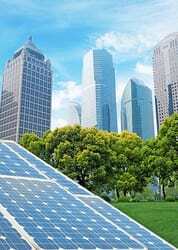 Solar energy can be right for both residential homes and businesses. With newer technology, solar systems are much more affordable with quicker paybacks. 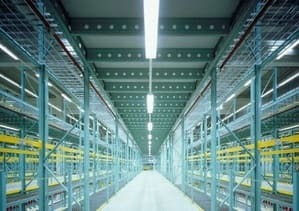 Our lighting conservation program can save electricity, in turn reducing your electrical costs. Our lighting consultant will assess your needs and recommend a program to help you conserve electricity. Widely considered as one of the most efficient, cost-effective, and environmentally clean forms of energy transfer, geothermal has the ability to meet your heating and cooling needs with its low operational costs and prolonged lifespan. There are new technologies available for your use that can lighten the load on your utility bill. We can help you maintain the stable environment that you’re looking for while reducing your energy needs. There are new technologies which we can recommend to help you reduce your peak loads such as Combined Heat & Power (CHP) which will produce electricity, heat and hot water at the same time. Whether you need a generator for prime or standby power, our team can design, install, and maintain the best system for your facility. Data centers can emit immense amounts of energy in the form of heat, which can drive up AC operating costs. With newer technologies or combining servers, we can help provide you with solutions to reduce your utility loads. The Energize NY program is managed and operated by local development corporation and New York State non-profit Energy Improvement Corporation (EIC). They assist property owners in New York state achieve the long-term energy savings they need. The EIC also finances clean energy improvement for property owners by incorporating the Property Assessed Clean Energy (PACE) model for the best results. Property owners are allowed to pay up to 100% of the cost of their energy efficient upgrades and renewable energy installations through their property tax bill. The EIC offer up to 20 years of financing and ensures that the annual energy savings are more than the costs of said financing. This arrangement ensures that customers are able to immediately profit from their client energy improvements. Since there are no payments made, except through their tax bills, the cost of Energize NY is transferred to the next owner if the property is sold. From range upgrades and lighting improvements to HVAC systems, building insulation, rooftop solar installations, and even façade improvements Energize NY Finance can help you.